SEOUL, Sept. 17 (Yonhap) -- Korean-born American actress Yunjin Kim has returned to the small screen in her motherland, breaking a 19-year absence. As if to make up for the long hiatus -- although she has been appearing in Korean films -- she's chosen a role that, she hopes, will leave a lasting impression on Korean television viewers. The upcoming SBS series, "Ms. Ma, Goddess of Revenge," is loosely based on Miss Marple, a fictional amateur detective in Agatha Christie's novels. With shrewd intelligence and a remarkable ability to latch onto seemingly trivial things to solve a mystery, the character is one of the most beloved characters of the British crime writer. 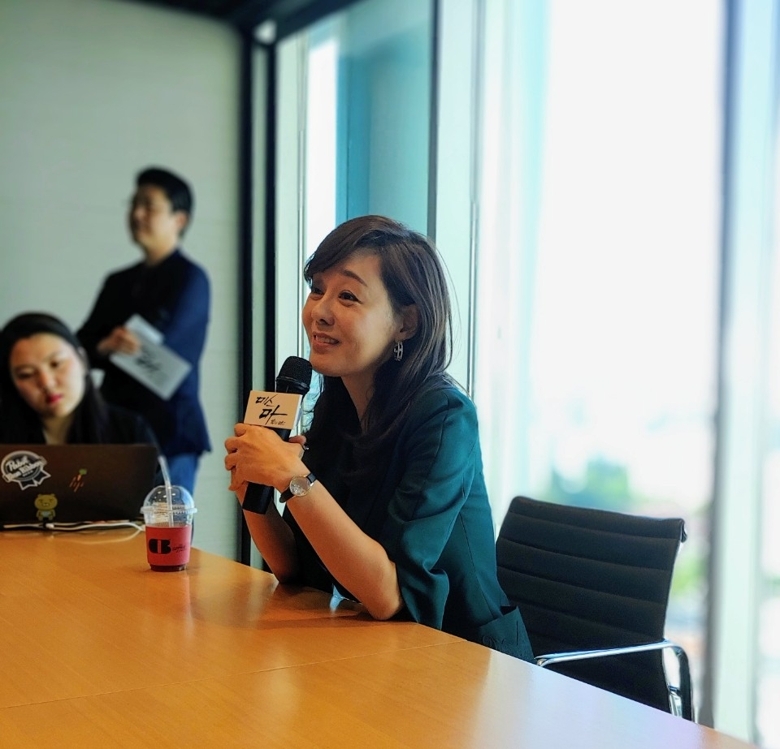 In a meeting with local reporters at the SBS headquarters in western Seoul, the actress, best known for her role in the popular American series "Lost," said she was deeply impressed how well the character has been localized and the story reconstructed. In the drama, Kim plays a mother who loses her mind after being falsely accused of killing her daughter and put in a mental hospital for nine years. One day, she comes to her senses, escapes the hospital and sets out to clear her name and find the truth about her daughter's death. She said not starring in a Korean TV show for almost 20 years wasn't intentional and that she wasn't able to do so due to her busy schedule in the United States, although there had been offers throughout the period. "As a Korean actor, I felt sorry that there was no Korean TV show that people could instantly associate me with. So I've chosen this drama, hoping that this would become my representative TV work," she said. Working on a Korean drama set, she said, is very different from working in the U.S., where the daily workload is less onerous, longer break time is guaranteed and the shooting schedule is lighter. "I normally worked four days a week in the States, but since the filming (for this drama) started, I've not been able to find time to do laundry," she said, laughing. She continued, "I never imagined shooting 20 scenes a day, but everything runs very quickly. I was very concerned when I first saw my filming schedule, but things happened smoothly according to the timetable and I found it truly amazing," she said. Through the show, she hopes the viewers get to see how a selfish and self-centered woman slowly changes into a softer and warmer person by interacting with people around her. "The line, 'Human beings are by nature selfish and nasty,' frequently appears in the show. Miss Ma grows into a better person while meeting with many people to solve her own problem," she said. "The message the drama tries to deliver to the viewers is that (that line) is not necessarily true." The 16-part drama is scheduled to premiere on Oct. 6 at 9:05 p.m. on SBS.